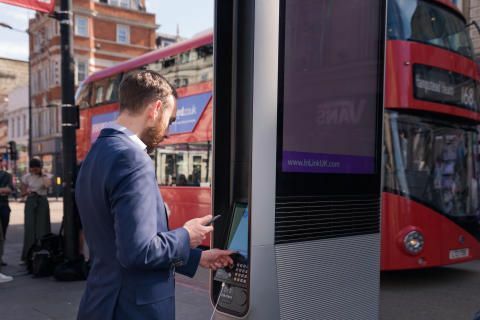 The first of these new units, called InLinks , which will replace some of BT’s existing payphones in the capital, have appeared on Camden High Street in London, thanks to a new partnership between BT, Intersection - the company behind LinkNYC, and Primesight - a leading UK outdoor advertising company. 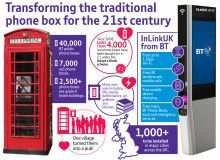 Matt Bird, general manager, InLinkUK, said:“ InLinks introduce the technology we need to create a better urban environment. InLinks in the future will feature sensors to capture real-time environmental data, such as pollution and traffic conditions, never seen before in the UK at such a micro level. 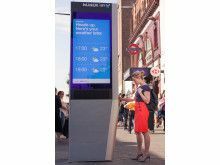 Naren Patel, CEO, Primesight, said: Naren Patel, CEO, Primesight, said: “As London continues to develop as a smart city, the launch of the InLinks will provide a real value exchange between consumers and brands. Ari Buchalter, CEO, Intersection, said: Ari Buchalter, CEO, Intersection, said: “As a global hub for business, technology, and culture, London is the perfect environment for digital innovation. 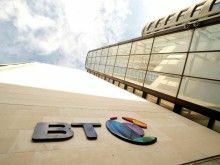 Individual download speeds are dependent on a number of factors including: the capability of a user’s mobile device, distance from the Link , environmental conditions and the number of users connected at a given time.